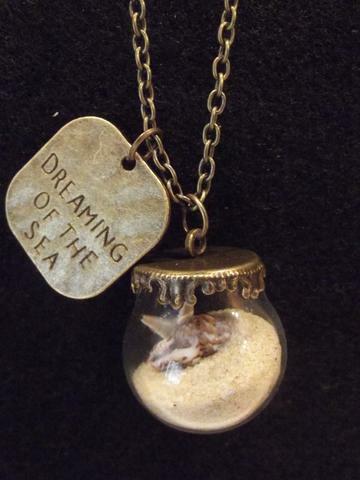 Looking for a special gift for that beach-loving friend? There are so many amazing choices to help remind them of the beach – or prepare to be back there! Our gift guide will help you make the choice to fit their personality. Whether it’s a gift for use on the beach or at home, any of these will be a welcome reminder of fun in the sun! This spacious bag has enough room for everything you need to carry to the sand! Squeeze in all your accessories from lotion to the latest novel. And you won’t have to worry about your phone or tablet getting wet – there’s even a special compartment to protect them! Ever wish you could just take the beach with you? With this necklace, you can! It’s one of our favorites from our own store. Never forget how great the beach is as you carry sand and shells around your neck. 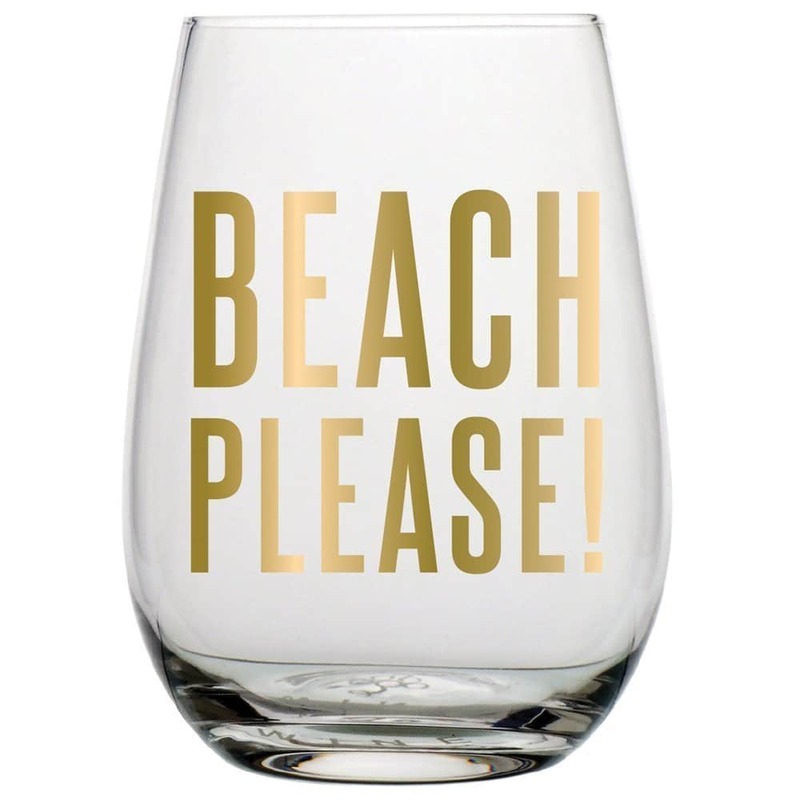 With just the right amount of attitude, this glass exclaims and begs for a wonderful spot under the sun! Of course actions speak more loudly than words – this isn’t just a statement but also does a fantastic job of holding an ample supply of everyone’s favorite adult beverage. Looking to relax and center yourself near the surf and sand – or even when you just want to be reminded of them? 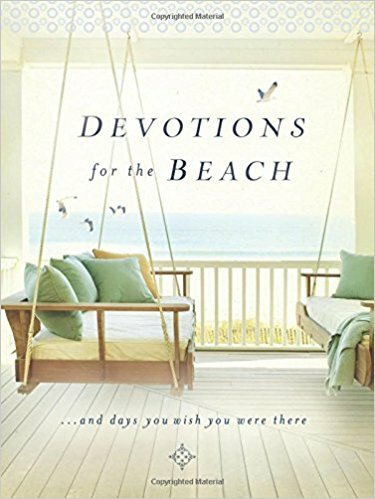 These spiritual devotions are a great choice and a reminder of the beauty of creation! Everybody needs a nice bright beach towel – and it’s even better when you’re going to the beach with someone special! 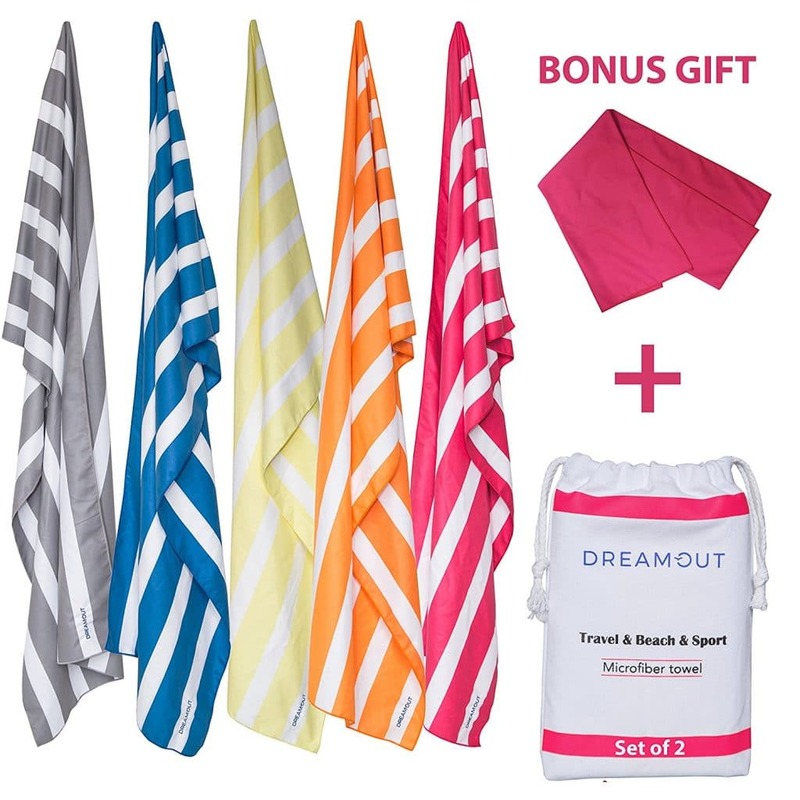 This set of two towels come in a range of fun summer colors and will keep you comfortable while taking in the rays. 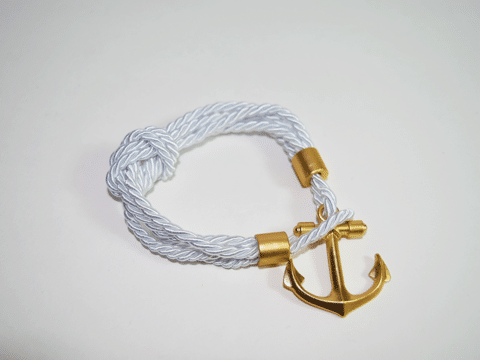 Another favorite from our site, this rope bracelet with a gold anchor lends a definite nautical quality to your accessories. It’ll help keep the sea close and let everyone know that you’re a true beach lover! Stay safe from an overdose of sun while also staying stylish! 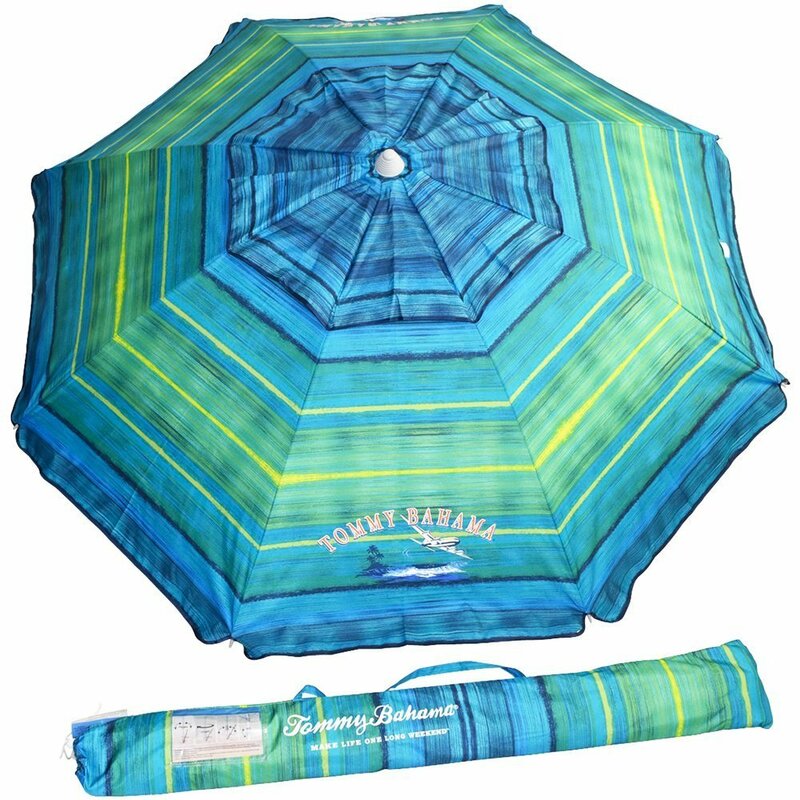 This 7-foot umbrella from Tommy Bahama both tilts and telescopes so you can adjust it as the sun changes position. And it’ll be a great way to find your place again after dipping your toes! Would bath towels be a better fit? 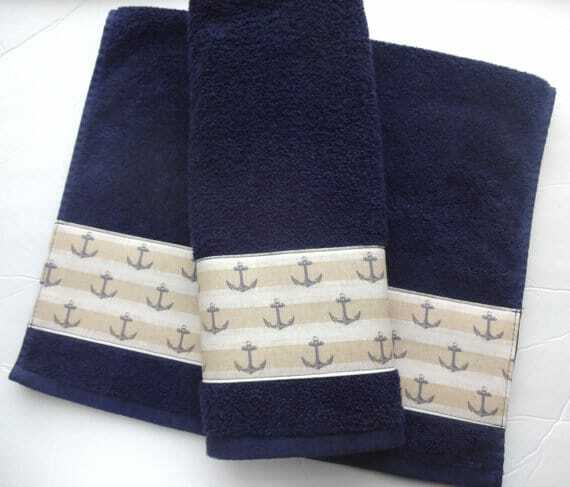 These handmade towels feature nautical design and will lend a classy feel to any bathroom. Whether for the beach cottage or the year-round home, they make a great choice. 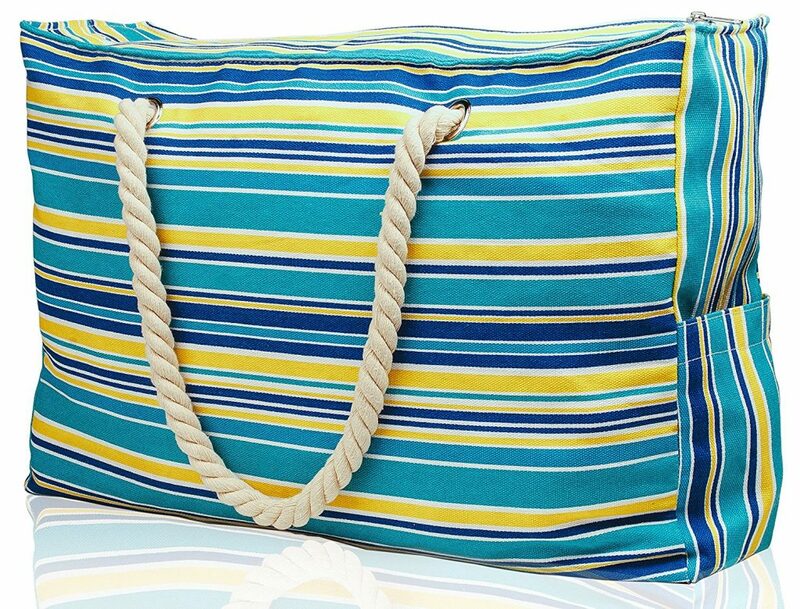 Another great beach bag that will be great for anyone! 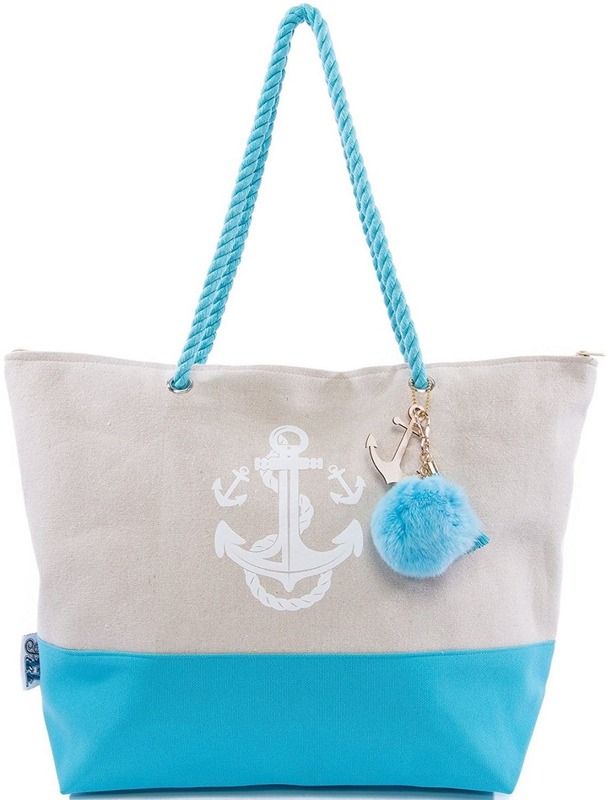 This canvas bag offers lots of space and subdued colors that definitely remind you of the sea. It’s available in a variety of beautiful colors and designs. 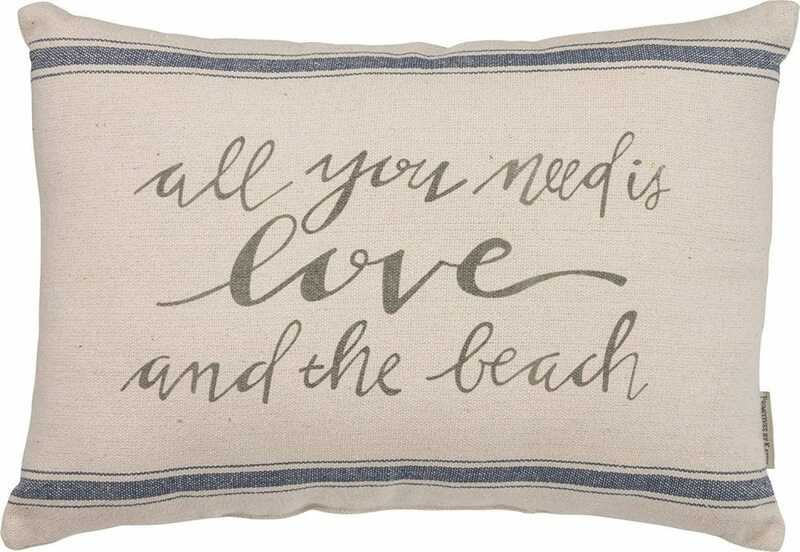 Whether for the sofa or your bed, this pillow reminds everyone of two of life’s most important and consoling realities – love and the beach! It’s such a simple message but one we can often use to help us relax and remember what’s truly important. Coffee helps us get going – and 18 ounce is (hopefully) enough to wake us up. 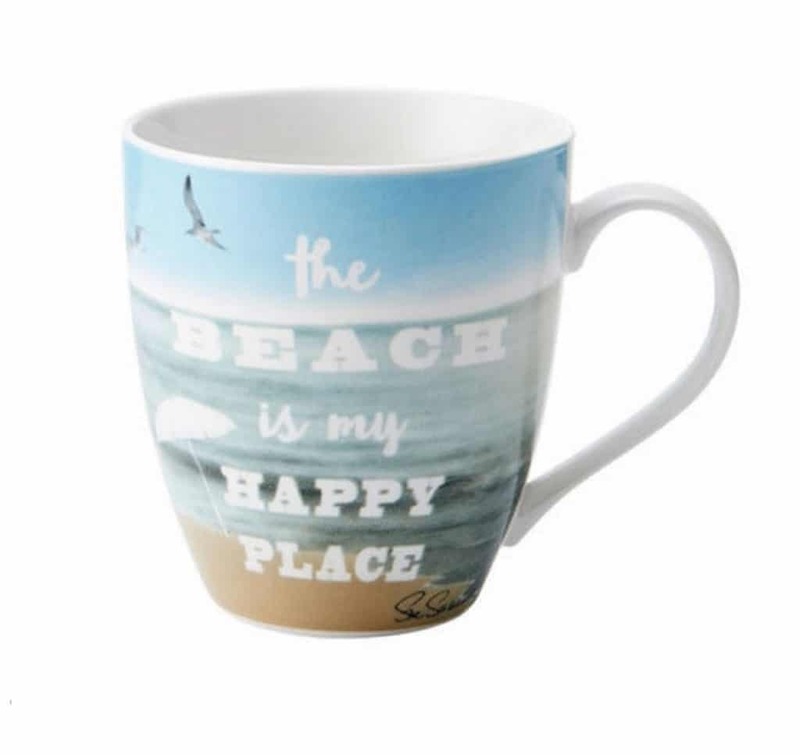 This mug offers a great reminder to think happy thoughts and let our mind drift to the beach when the stress just keeps on growing. 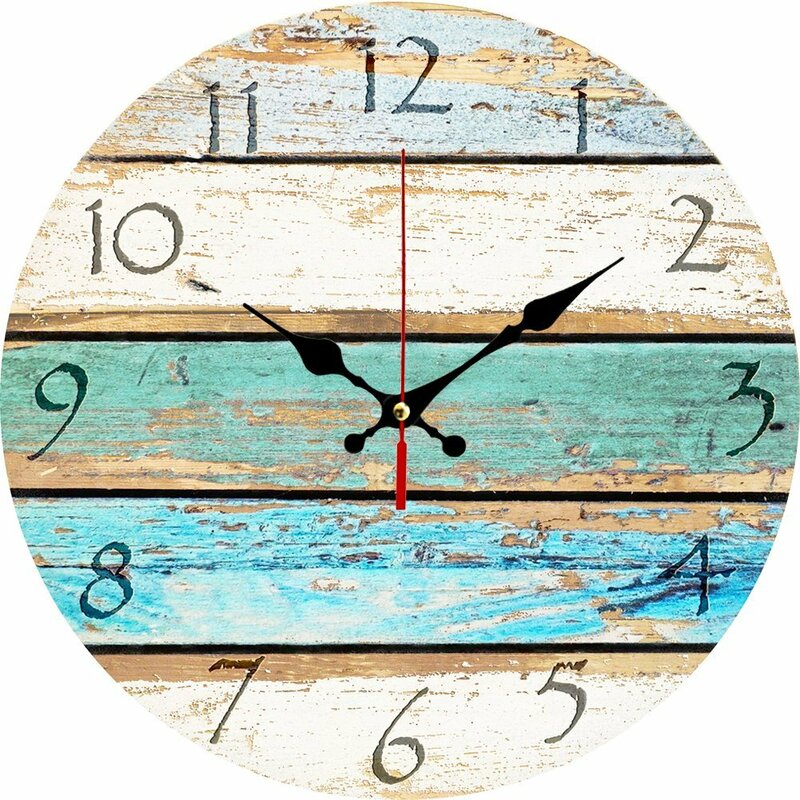 This rustic clock will have you counting down the hours until your back on the sand! It would go great in your beach house, or that special room at home where you just want to remember what not being enslaved to the clock is all about. 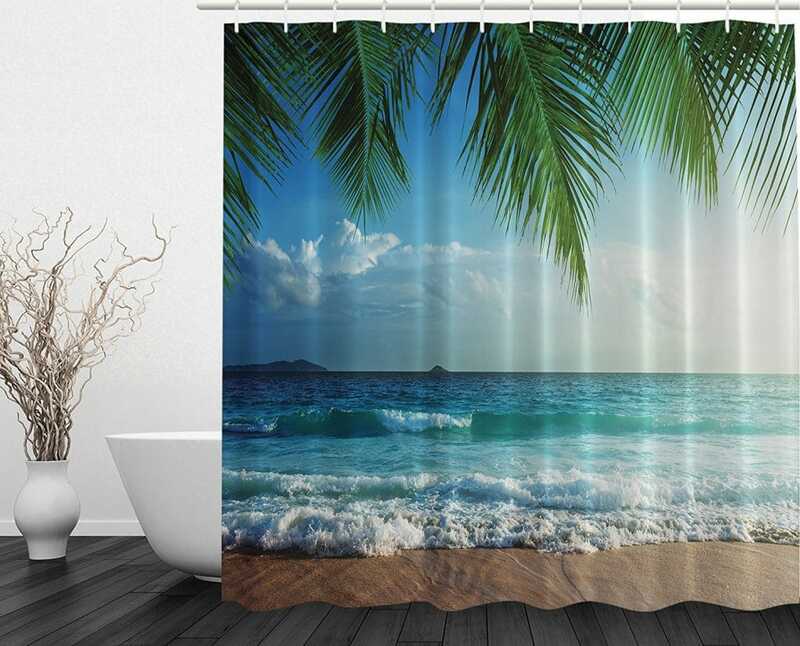 Give some life to the bathroom with this bright and refreshing fabric shower curtain! Imagine you’re back enjoying the sun’s warm rays as you get ready to start your day. A great gift for the one who loves to entertain! 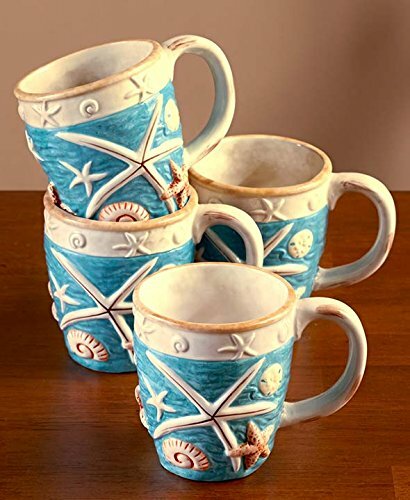 This set of 4 mugs will help you share hospitality and your love of the beach with family or visitors. A cup of joe or tea is a great way to start the day, and it’s even better when you’re reminded of the most relaxing spot on earth! 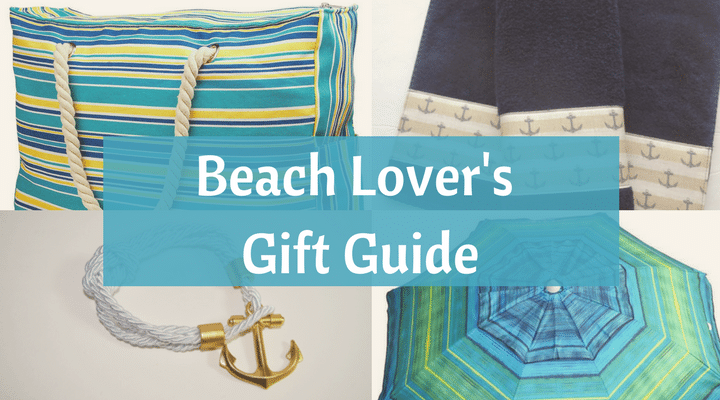 No matter the season and no matter the reason, these gifts will be welcome by any beach lover. They’re sure to be appreciated by whoever you present them to!